When: April 29th, 10 am to 2 pm, my home studio in Littleton, CO. Email me to register at jbrucker@icloud.com. Learn the basics and explore the possibilities of color in art. In this one-day class, you will learn fundamental color theory principles, color structure and function in art, and color mixing techniques, moving into contemporary approaches to color use and manipulation. Discover new approaches for your palette, and ways color can make your work more interesting, expressive and dynamic. Taught by Julia Rymer, abstract painter, art educator and color theory enthusiast with over 20 years of painting experience. Materials explored include acrylic painting, collage, and watercolor. Open to artists of all levels. Join us May 5th to up-level your creative business! Register now! Abstract painting and mixed media workshop, February 5th - 26th, on Tuesdays, 6:30 to 9 pm at the Curtis Center for the Arts in Greenwood Village, CO. Register at greenwoodvillage.com/art. Ellipses has been extended through August at MLB Designs & Boutique in Kansas City! 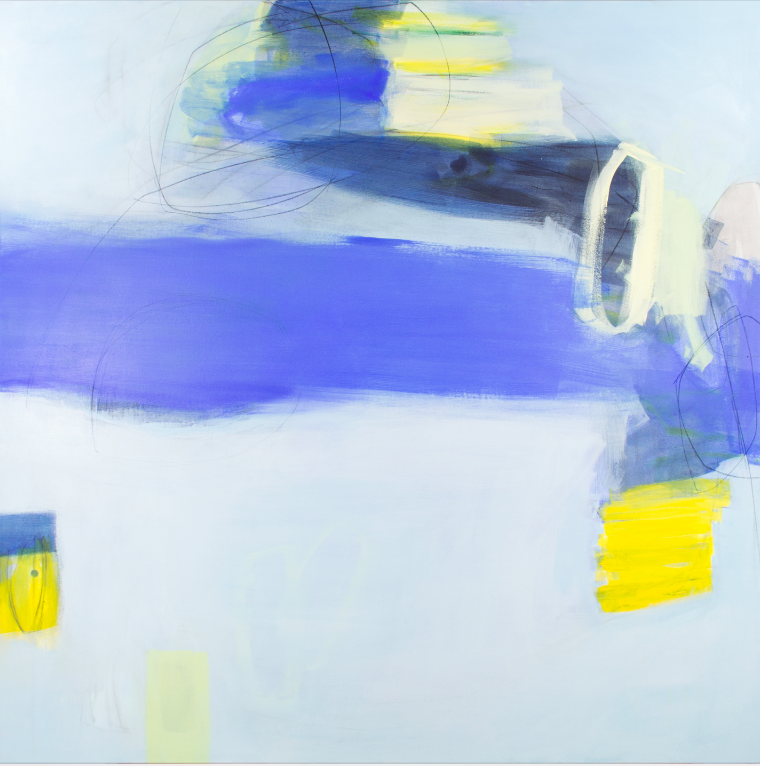 Opening May 3, 2018 at MLB Designs & Boutique in Kansas City, MO, Ellipses is an art exhibition featuring work by abstract painter Julia Rymer. 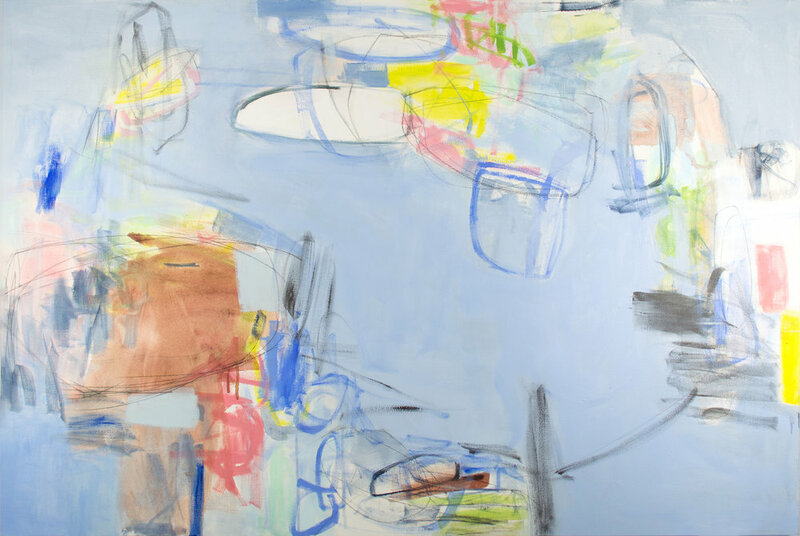 This exhibition marks Rymer’s first showing both with the gallery as well as within the Kansas City area, and features her recent mixed media paintings and works on paper. “Ellipses” refers to the defining element of Rymer’s work, an elliptical, oval form that recurs in each piece. She paints and draws these forms intuitively, referencing natural phenomena and ancient symbols. Inspired by her interest in physics, astronomy and color theory, and her childhood spent immersed in the plains and mountains of Colorado, Rymer’s work celebrates the beauty of the natural world. 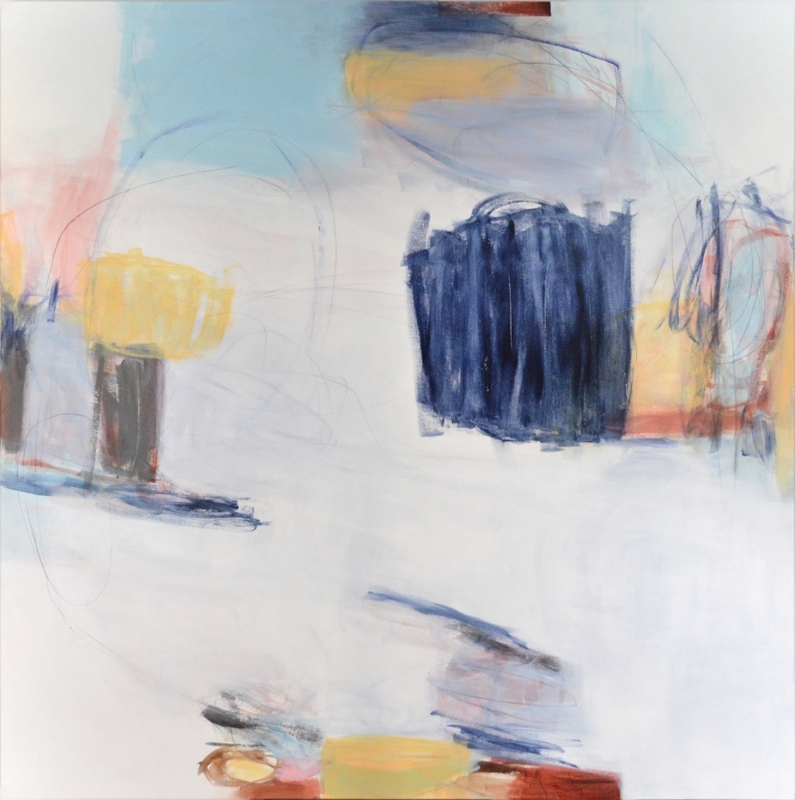 Julia Rymer is an abstract artist based in Denver, Colorado whose work has been exhibited widely across the country, and is included in numerous private and corporate collections throughout the United States. She holds an M.F.A. in Painting from Pratt Institute in New York, and a B.F.A. in Painting from the University of Denver. For more information, visit mlbdesigns.com or contact Marie B. Smith, director of MLB Designs & Boutique, at marie@mlbdesigns.com. An Opening Reception for the Color Play exhibition is scheduled for Thursday, March 2, 2017 from 6:00 p.m. to 8:00 p.m. This is a family friendly event that will delight people of all ages. Complimentary refreshments will be served at the opening reception and as always, this event is free and open to the public. Donations are welcome! The Village Theatre and Art Gallery is located at 233 Front Street in Danville. The Gallery is open to visitors Wednesday through Friday 12:00 p.m. to 5:00 p.m., Saturday 11:00 a.m. to 3:00 p.m., and Monday and Tuesday by appointment only. The Gallery is always open one hour before performances in the Theatre. The Art Gallery is closed on Sundays. Admission is free and donations are always appreciated. The exhibition will run through April 15. My work will be included in an online art auction called "Create for Syria." All funds from sales of the work will go to support of Syrian refugees. Please consider purchasing an artwork for this important cause! We will donate funds to the International Rescue Committee. A few weeks back a little Syrian boy sat in an ambulance seat staring into our eyes through the window of Social Media. He was covered in blood, dust, and debris. He was alone. He was confused. He was small and helpless. At first we reacted. Wanting to hold tightly to that little boy and whisper in his ear that everything will be okay. The hollow shallow feeling of doing nothing no longer felt good in our hearts. We have decided to take action; by creating. There are many more like the boy in the ambulance still in need of help. We have come together, and hope you will join us too, to purchase art made by professional working artists to benefit the refugees in need. All proceeds going to the International Rescue Committee (IRC) where money will go to those working on the ground to supply food, shelter, school supplies and all the other day to day needs of refugees. On September 22nd we are going to hold an online auction with 100% of proceeds going to the International Rescue Committee where money will go to those working on the ground to supply food, shelter, school supplies and all the other day to day needs of refugees. Artist throughout California and western states are taking part. Please follow this page for more news as we get closer. Thank you!